Ian joined WSET as Chief Executive in 2002, and has overall responsibility for the Trust - reporting to the WSET Board of Trustees. Ian's vision is to continue the global growth of WSET while raising the profile of WSET to ensure it meets the needs of an ever-changing global wine and spirit market. Rachel has been in the wine and spirit industry for 13 years. As Business Development Director (EMEA) Rachel is responsible for increasing opportunities across Europe, the Middle East, Africa and India for both our Approved Programme Providers (APPs) and students. With over 25 years’ experience in the wine and spirits industry, Graham is responsible for the sustainable growth of WSET student numbers throughout the UK. He leads the nationwide Business Development team which includes line management for WSET’s flagship course provider, WSET School London. Dave is responsible for WSET’s subsidiary company in the US and for the growth and development of WSET in North and South America. He is a 10+ year veteran of the drinks business, with a foundation in hospitality, and 6+ years in sales management within the US Distributor market. Jude is responsible for WSET’s Hong Kong subsidiary company and for the growth and development of WSET across the Asia-Pacific region. SHe has been part of WSET for nearly sixteen years garnering huge experience of WSET's international markets. Karen has management responsibility for the WSET's Product Development Managers and translation team, ensuring that all WSET programmes are current and fit-for-purpose. 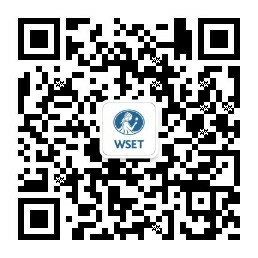 Karen also manages WSET’s Educator Training Programme and teaches at all levels. Antony is responsible for producing the Trust’s Strategic Plan, ensuring the business focus is on meeting the needs of the global wine and spirits industries. He carries out regular consultation with industry, training providers and students. Matthew heads up WSET Awards, the awarding body division of WSET. He is responsible for managing the creation, processing and certification of all WSET qualifications and is the main point of contact for the UK regulatory authorities. With over 15 years’ Information Technology service delivery and project management experience in the private and non-profit sectors, Anthony is responsible for developing and implementing the IT strategy to deliver first class services to WSET's UK and Global offices. With a background in brand management and design coupled with broad marketing experience in the charitable and not-for-profit sectors, Jacki is responsible for managing all aspects of WSET's global marketing strategies, media and communications, and corporate brand identity. Nick joined the Board of Trustees in 2017 and represents the Wine and Spirit Trade Association, of which he was recent Chairman. He has had a lifelong career in the wine and spirit industry, mostly with IDV and then Diageo, where he was Head of Wine for Europe. On retiring from Diageo, Nick also became Chairman of Vranken Pommery UK. Troy joined the Board of Trustees in 2014 and represents the Wine and Spirit Trade Association. He is currently Chief Executive of Enotria, and prior to this was Chief Executive of Constellation Europe, where he was responsible for handling the transition of the company to Accolade Wines. Troy is also a Director of WSET Asia-Pacific Ltd and Wine and Spirit Education Trust (America) Inc.
Rick joined the Board of Trustees in 2016 and represents the Wine and Spirit Trade Association. He has had a lifelong career in the External Relations and Corporate Affairs side of the spirits industry, and recently retired from Pernod Ricard, who he joined following their acquisition of Seagram, where he had held similar senior roles. Allen joined the Board of Trustees in 2018 and represents the Worshipful Company of Distillers, of which he is a member of the Court. With over 20 years’ experience in sales and marketing roles across the FMCG sector, Allen is currently Group CEO of the parent company of the International Wine and Spirit Competition. Prior to this he held various senior positions at Diageo. Susan joined the Board of Trustees in 2016 and represents the Vintners Company. She won the Rouyer Guillet Cup (now the Vintners Cup) for the top Diploma student in 1992, when she worked for Howells of Bristol. Following her achievement of the Master of Wine qualification, she worked in the buying team at Waitrose, before founding her own company – Ethical Fine Wines - and is now a wine consultant for Conviviality Plc. Simon joined the Board of Trustees in 2017, representing the Vintners' Company. He began his association with wine in 1991 as Managing Director of Mitchell Beazley, publisher of Michael Broadbent, Hugh Johnson, Jancis Robinson and Steven Spurrier - all WSET Honorary Presidents. From 2008 to 2015, Simon was Group Chief Executive of Laithwaite's Wine and from 2015 until 2017 Chairman of Berry Bros. & Rudd's Family Board. Simon joined the Board of Trustees in 2014 representing the Institute of Masters of Wine. His career in the wine industry spans the retail sector (including as a former member of the Waitrose buying team) from where he moved to Constellation Wines. He is currently Chief Executive of Negociants UK, the UK subsidiary of the Yalumba Wineries Company. Michael joined the WSET Board of Trustees in 2014 and represents the Vintners Company, of which he was Master in 2011/12. He was also Chairman of the British Beer and Pub Association, and has had a lifelong career within Fuller, Smith and Turner, of which he is currently Chairman. He is a Chartered Accountant who has significant international experience.